To make the dressing, combine cilantro, Greek yogurt, garlic and salt in the bowl of a food processor. With the motor running, add olive oil and vinegar in a slow stream until emulsified; set aside. 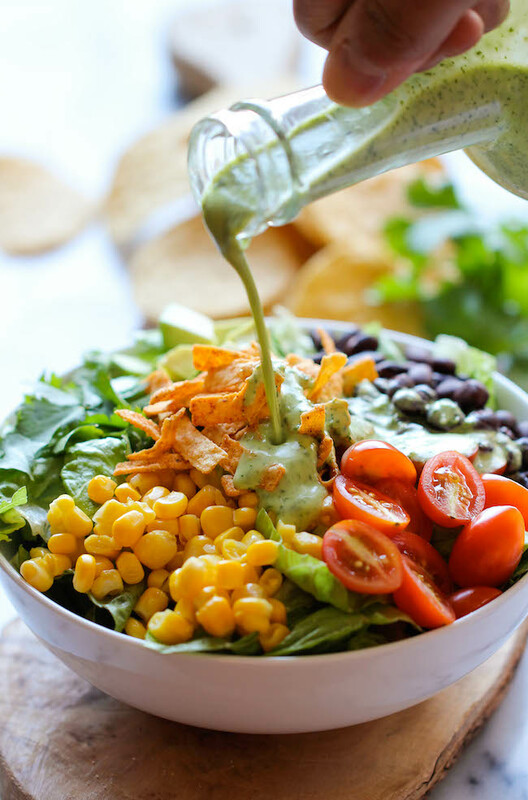 To assemble the salad, place romaine lettuce in a large bowl; top with tomatoes, corn, and black bean. Pour the dressing on top of the salad and gently toss to combine. Stir in avocado.